Restored and decorated in 2009 with fresh and simple style, Red Clover Inn and bed & breakfast’s warm accommodations are tucked into a peaceful glade just minutes from Killington Resort and Pico Mountain, with sweeping views of the Green Mountains and surrounding woodlands. Find peace in the historic Inn or adjacent Carriage House, where the well-appointed rooms offer a variety of amenities such as fireplaces, ceiling fans, and in-room jacuzzi tubs. All rooms are “en suite” with a private bath, and a queen-sized (or larger) bed, comfortable seating and tables, and freshly cleaned linens. Browse our different rooms and suites below. 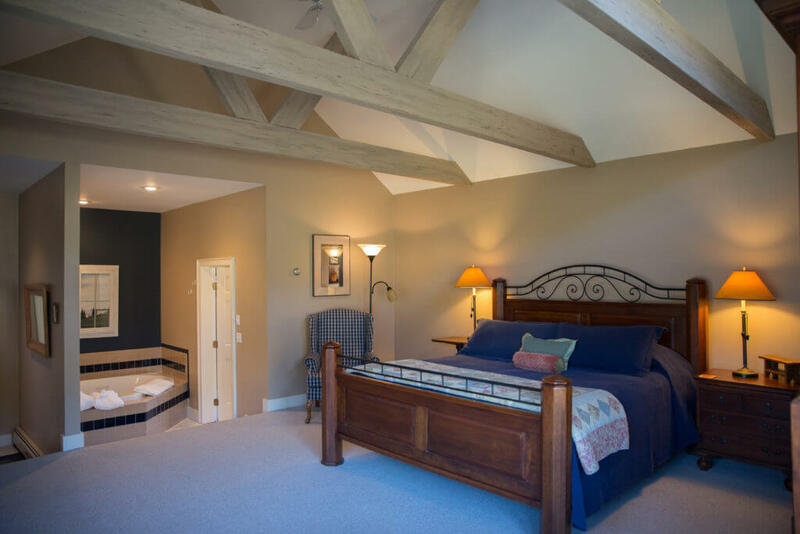 Located in the Carriage House just steps from the Inn, these rooms are each uniquely decorated and furnished with a queen-sized bed, comfortable seating, and private bathroom. Rates range from $125 – $195 per night. Click on each room name for more photos and a specific description. 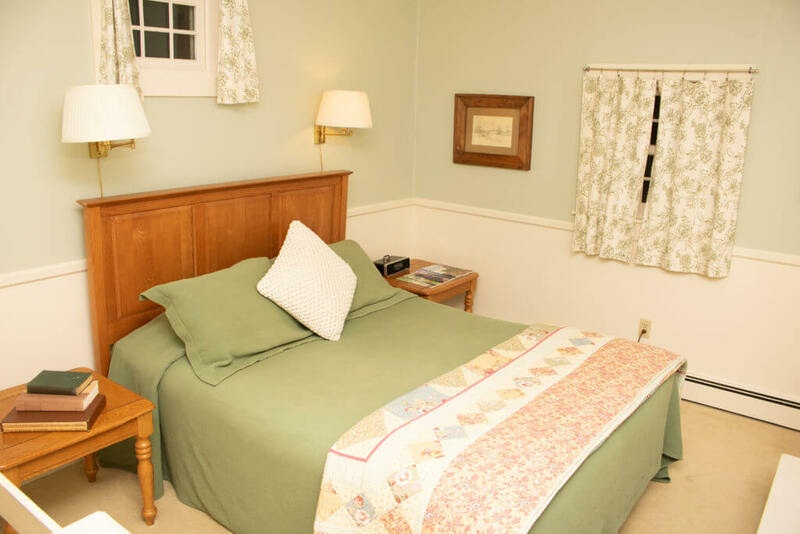 Located on the second floor of the Red Clover Inn, these rooms are each uniquely decorated and furnished with a queen-sized bed, comfortable seating, and private bathroom. Rates range from $145 – $240 per night. 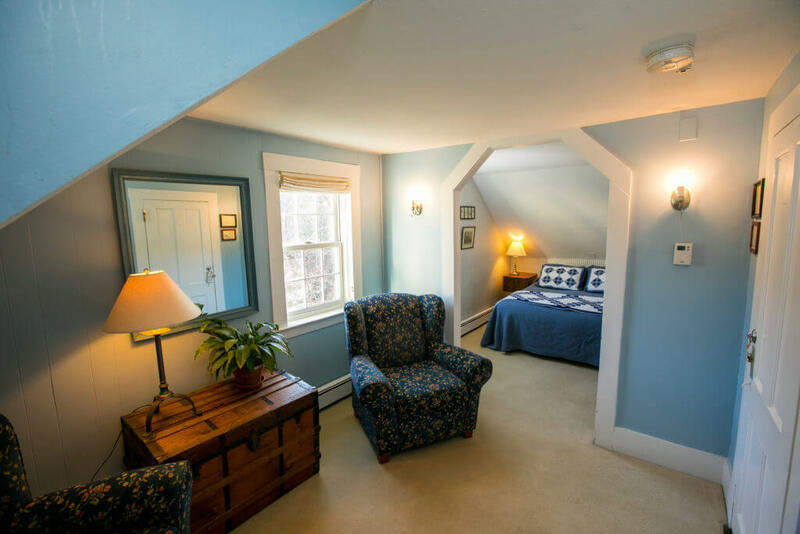 Located on the second floor of the Red Clover Inn, these spacious and bright rooms are each uniquely decorated and furnished with a queen-sized bed, comfortable seating and table space, and a private bathroom with a jetted tub. Rates range from $175 – $270 per night. 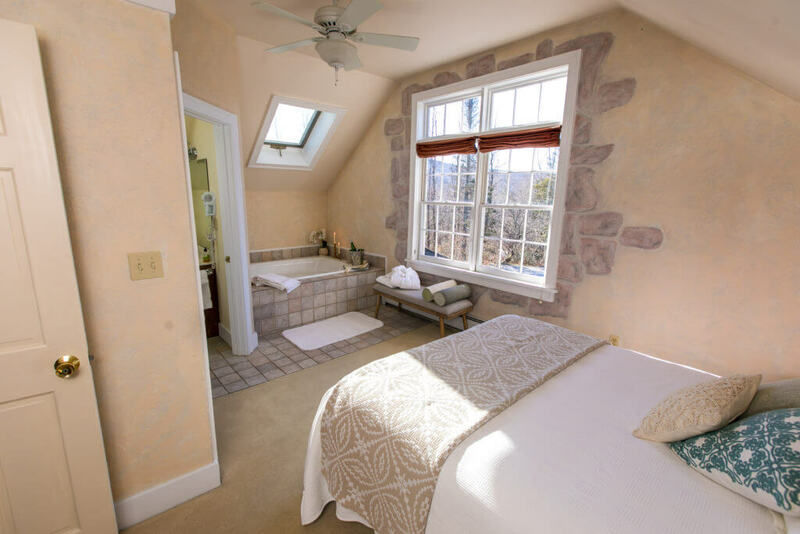 Located in the Carriage House just steps from the Inn, these spacious and bright rooms are each uniquely decorated and furnished with a king-sized bed, comfortable seating, and a private bathroom with a jetted tub. Rates range from $175 – $340 per night.